It is an undeniable fact that with every single innovation, the iPhones are just getting better. The improved features and attractive sleek looks are the reasons for the fans of iPhone to buy the latest one. So the question is “how do you deal with your old iPhone”. Most users remember to reset it. But most users may not know factory reset is not safe enough because data is still recoverable. That’s why you need an iPhone reset tool. 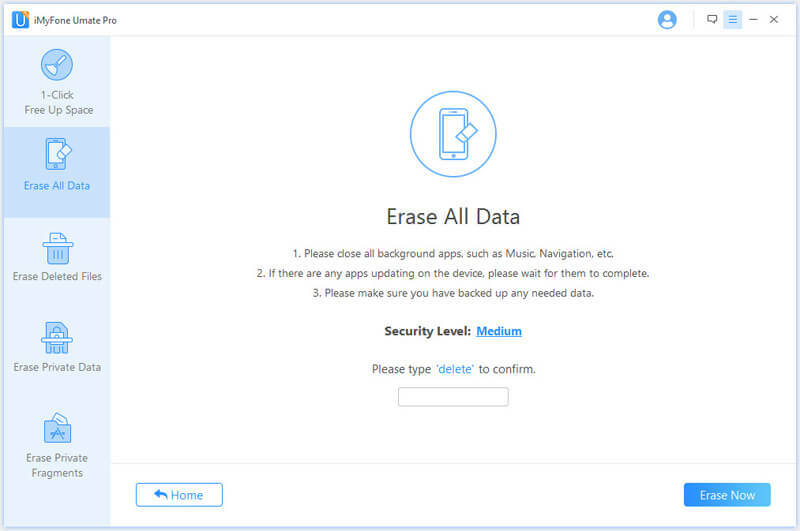 iPhone reset tool promises to erase data unrecoverable. It’s 100% safe. There are several iOS reset tools in the market but not all of them are recommended. Some of them are out of date and not being maintained, some of them are expensive with week features, etc. Here we introduce you 3 recommended iPhone reset tools which are compatible with the latest iOS and all iPhones, iPads and iPod touch. 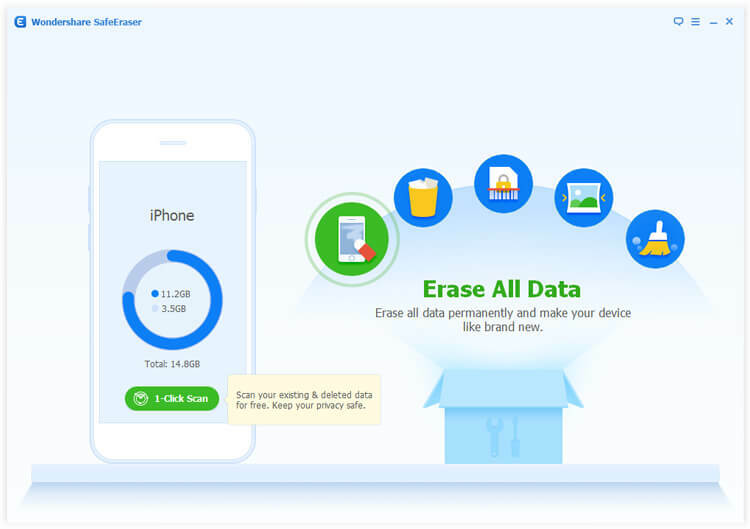 iMyFone Umate Pro iPhone Data Eraser, specifically developed to protect data privacy, is the best iPhone/iPad reset expert available in the market currently. With super advanced overwriting technologies, it promises to completely delete data and keep deleted data unrecoverable. Featured in 4 erasing modes, it gives you option to smartly reset your iPhone. Difference between iPhone Reset and Umate Pro Erase: Reset just deletes all the data from iPhone but keep the deleted data into the device driver. Using recovery tool can easily restore deleted files. But Umate Pro thoroughly overwrite the deleted data so the data is no longer accessible even from the device drive. Data erased by Umate Pro is 100% unrecoverable. Reset the whole iPhone/iPad without any traces left or selectively reset some data. Preview and erase previously deleted files from the hard drive so that there is no trace of these files even after deletion ever. Erases messages, contacts, call logs, photos, personal videos, browsing history and more from iPhone. 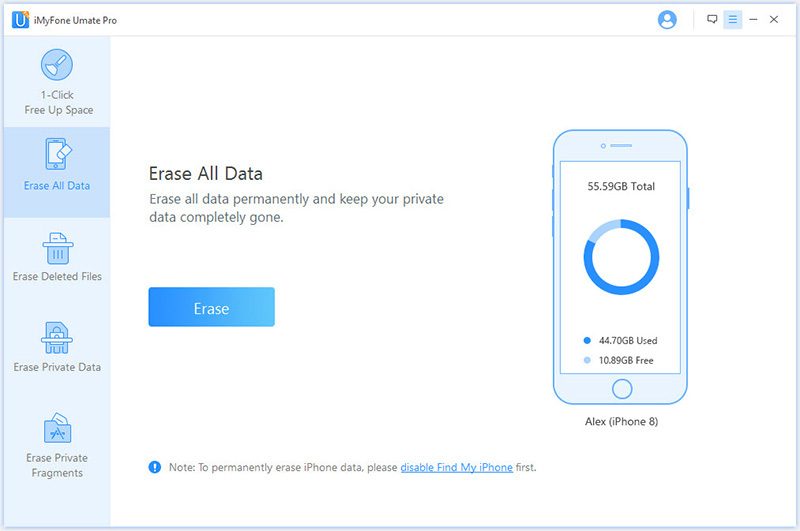 Erases data from third-party apps like WeChat, WhatsApp, Viber, Snapchat, and 10+ more. Step 1: Launch iMyFone Umate Pro iPhone Data Eraser on your computer and connect the iPhone/ iPad to the computer. Step 2: Once the connection is active, click on Erase All Data from the left panel. Or choose Erase Deleted Files if you want to wipe previously deleted data. Or select Erase Private Data if you want to selectively erase some specific files. Or choose Erase Private Fragments if you want to wipe incomplete fragments of third-party apps. Step 3: Click on Erase button and confirm by typing “delete” into the box. Wondershare SafeEraser is a wonderful tool for resetting the iPhone. You can protect your private info when selling, recycling or donating your old device. It supports erase the existing or deleted files from iPhone, iPad or iPod touch. Supported files: pictures, videos, call logs, messages, contacts, notes, reminders, etc. An another impressive iPhone resetting tool in the market is PhoneClean that allows the iPhone to function smoothly. It allows you to enjoy a cleaner, faster and better iPhone in almost every way. Besides, it gives you the highest standard in privacy protection, which keeps sensitive data getting deleted thoroughly. Erase private data from WhatsApp, WeChat, Viber, etc. When do We Need to Reset iPhone? Why do We Need iPhone/ iPad Reset Tool? You might be in the middle of a conversation when your iPhone might simply switch off on its own. There might be times when you are about to capture the most unbelievable or once in a lifetime shot with your iPhone but the camera delays in opening up. That is when you realize that it is time that you reset the iPhone. Many times, even iTunes will not be able to discover or identify the device on the computer. Such times call for you to take the desperate measures. On resetting your iPhone you simply will be removing all your personal preferences and information from the phone, allowing it to go back to its default factory settings. Some basic programming will not be in any way altered.